Mahesh Babu will be launching the audio of his father and actor Superstar Krishna’s comeback film Sri Sri, to be held at Shilpakala Vedika on 18th of this month. Sri Sri is a commercial entertainer taking shape in the direction of Muppalaneni Siva casting Krishna and Vijaya Nirmala in main roles, and Senior hero Naresh in an important roles. As informed earlier, Mahesh Babu has earlier given his voice over for the movie. 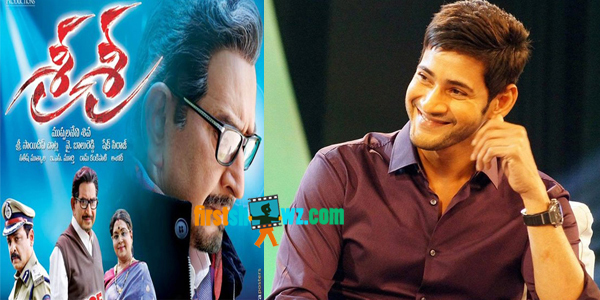 With Mahesh Babu attending the audio event and launching it, Sri Sri movie will sure earn the needed craze. Mahesh Babu meanwhile is busy with the shooting schedules of Brahmotsavam featuring Samantha, Kajal Agarwal and Pranitha as leads, in Srikanth Addala direction under PVP Cinema.